School Time Capsule Ceremony - Kirkcowan - What's Going On? 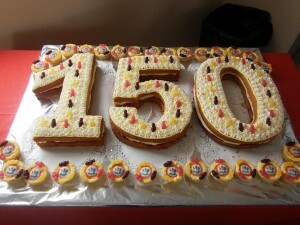 Pupils past and present along with two previous headteachers and guests joined members of Kirkcowan Primary School for a special ceremony to mark the 150 th anniversary. A time capsule had been prepared by pupils containing information about the school and objects like a dinner menu and pencils to illustrate life in the classroom in 2012.